WASHINGTON – The Congressional Hispanic Caucus added its voice Thursday to the chorus of groups criticizing Supreme Court nominee Brett Kavanaugh, who caucus members said would be a disaster for Latinos and the nation as a whole. 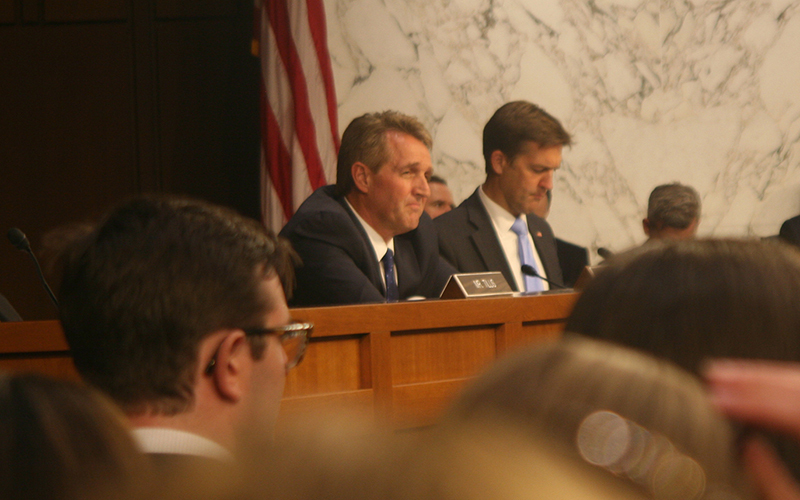 The criticism came as the Senate Judiciary Committee ground into its third day of grilling Kavanaugh, whose nomination has drawn a steady stream of opposition both inside and outside the hearing room. “Whether it’s a woman’s reproductive rights, whether it’s the issue of racial profiling that affects people of color throughout this country … his (Kavanaugh’s) sense that there’s an imperial immunity presidency … should concern all of us,” said Rep. Raul Grijalva, D-Tucson. Grijalva joined five other Hispanic lawmakers outside the Judiciary Committee hearing room where they said Kavanaugh’s history as a judge and a lawyer are out of the mainstream. But one expert said the criticism by political groups is misguided. Thomas L. Jipping, senior legal fellow at the Heritage Foundation, a conservative think tank, said political standards should not be applied to judicial nominees. But it is Kavanaugh’s legal record that gives Sen. Bob Menendez, D-New Jersey, pause. He pointed to Kavanaugh’s dissent in Garza v. Hargan, a 2017 case in which an undocumented pregnant immigrant teen who was being held in Texas sought an abortion. After several court delays, the D.C. Circuit Court of Appeals granted her request. But Kavanaugh, who sits on that court, said in a dissent that the delays in the case were not an undue burden on the girl. Menendez also pointed to Kavanaugh’s dissent in Agri Processor Co. v. National Labor Relations Board, in which he wrote that undocumented workers at a slaughterhouse could not unionize because they could not be considered employees because they were working illegally. Rep. Luis Gutierrez, D-Illinois, and others at the conference said they fear that the right to an abortion identified in the Supreme Court’s Roe v. Wade decision would be overturned if Kavanaugh is confirmed. Jipping said attacks on Kavanaugh’s record on abortion, specifically the Garza case, were off-base because of the special circumstances of the undocumented minor in question. He also disputed suggestions by many that Kavanaugh would shield President Donald Trump from prosecution if he gets a seat on the high court. Kavanaugh’s writings suggest no such thing, Jipping said. 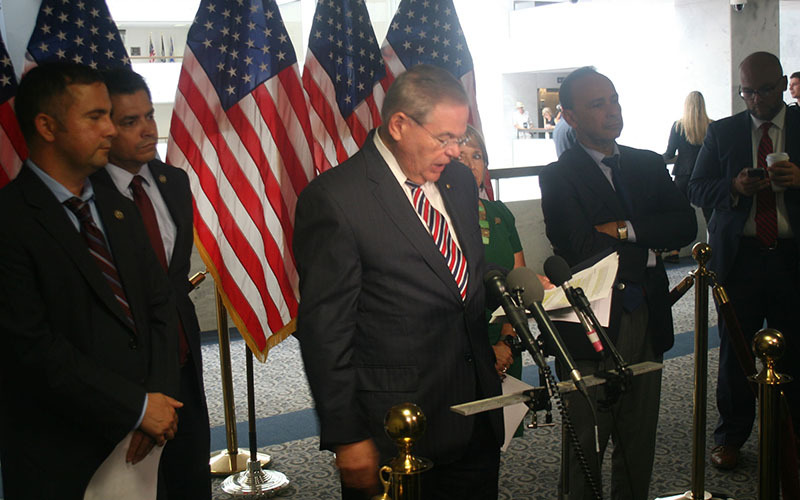 Menendez said he will vote against Kavanaugh’s nomination when it reaches the Senate floor. Kavanaugh only needs 51 votes to be approved. Grijalva said the Senate should be more deliberate in its consideration of Kavanaugh, echoing complaints from Senate Democrats that not enough documents from Kavanaugh’s record have been released yet. 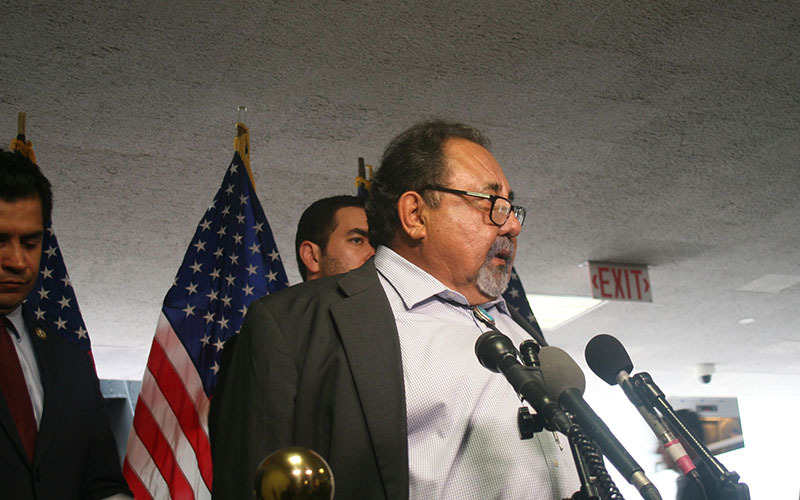 Grijalva said Democrats should push for more document disclosure to delay Kavanaugh’s confirmation. And, despite Arizona Sen. Jeff Flake’s pointed questioning of Kavanaugh about presidential immunity at Wednesday’s hearing, Grijalva said he is not confident Flake will vote against the nomination.